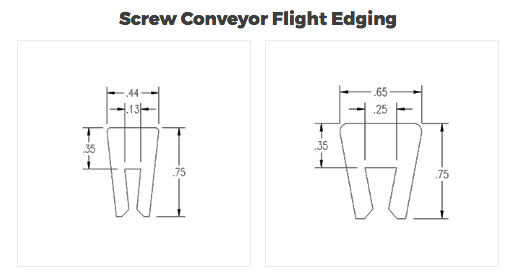 Flight edging is designed to eliminate metal to metal contact between the auger flight and the auger conveyor casing. Flight edging prevents product rollback by decreasing the space between the flight edge and casing. OEM Industrial is your manufacturer's rep for Spiratex products in NY, PA, NJ, DE, MD and WV.